WHEN I asked Prince Muhammad Al-Faisal, the pioneer of Islamic Banking, about the concept, he explained: “What we have today is a baseless theory. You can’t have a comprehensive economic theory devoid of social justice. The implied question here is: How can we build an economy to serve society? “That is what I have been concentrating on lately, trying, without much success, to motivate economists and religious scholars to do due research,” the founder of Prince Muhammad Al-Faisal Award for Islamic Economy Research, complains. 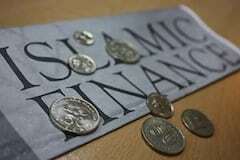 “Some think Islamic Banking represent Islamic Economy. But we must realize the difference between a) the financial services and b) the general economic theories controlling them. “I am not knowledgeable enough to conduct such research. Experts and scholars in economic and Islamic fields should gather to formulate a unified basis and set of principles defining the philosophies of Islamic Economy,” he recommends. So what is Islamic Economy all about? I wonder. “I must first answer other related questions such as why is usury forbidden, what are the economic ramifications of usury and what is social justice in Islam,” he explains. “I regard the prevailing economic systems as two faces of the same coin: Free economy (capitalism) and controlled economy (socialism). Both are based on materialistic capitalism in which man (individual or government) is the owner and governor of capital. “In Islam,” he elaborates, “The properties are owned by Allah who has designated man as His representative to manage them wisely following certain rules. This simple difference in definition can change the entire economic system.” “Personally,” Al-Faisal emphasizes, “I found it fit to start by developing the main philosophy, and then derive the application principles from it. In our rush to provide Islamic financial tools, we concentrated on application without linking it to the main philosophy. We ended up with a system devoid of human values,” he regrets. However, the Prince believes Islamic banking has proved itself the better system and explains: “Because currency includes its value plus interest, money no longer represents a true value. It has become another commodity in the stock market. On the other hand, the Islamic dinar held a fixed value throughout Islamic civilization. “The difference between Islamic and Western economies is seen in the fluctuating economic cycle. The actual total capital of the entire world is $56 trillion, while a total of $650 trillion paper money is produced. So, why Islamic banking? I ask. “Because most of our banks were branches of foreign usury-based financial institutions,” he answers. “At the Islamic Summit in Karachi, 1972, there were two competing studies (Egyptian and Pakistani) on the establishment of the Islamic Development Bank (IDB). The Egyptians won and I was a member of their research team. “Based on our study, I requested the establishment of the first Saudi Islamic Bank, but a government committee, headed by the Finance Minister, rejected the project. I asked him why he didn’t speak up during the meeting, but he just left without a word!” The “fighter prince” never gave up. He went back to King Faisal and told him that the matter will never be resolved unless the project was enforced, “but since I was his son, the King refused. Still, I went on with my project, and invited Egyptian scholars, Tawfiq Al-Shawi and Ahmed Al-Najar, to join me. “Al-Shawi was an adviser to Oil Minister Ahmed Zaki Yamani, and later worked in the legal department of the Cabinet of Ministers. Al-Najjar was one of the incorporators of Nassir’s suburban banks in Egypt. The banks followed a German style and were established to finance projects in poor villages and countryside. “We submitted our project proposal to Egypt and Sudan. It was approved by the late Egyptian President (Anwar) Sadat and the late Sudanese President Jafar Al-Numeiri, and the King Faisal Bank was established. “We were not alone. Around the same time, in early 1970s, a number of Islamic banks were started in Gulf countries, such as the Dubai Islamic Bank and the Kuwaiti Finance House. Today, the pioneer of Islamic banking, Prince Muhammad Al-Faisal, (79), stands alone in his search for an Islamic Economy theory. Muslim scholars and economists should join his pursuit. More than ever, the world needs a better economic system.